#87 "Charlie Christian: The Genius of the Electric Guitar" (1939-41) v. #39 the Albert Ayler Trio: "Spiritual Unity" (1964). Conceivably a tough match. 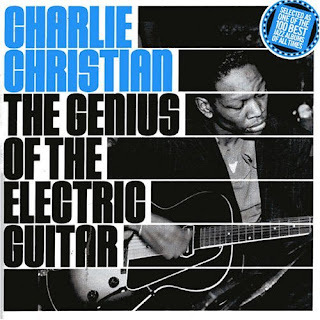 Charlie Christian is apparently a very early pioneer of the electric guitar. So, these tracks are early: close to jazz’s honky-tonk, Dixieland, and blues roots. That’s to say, not very interesting to listen to. This is “free jazz” ie., racket. But it grows on me. 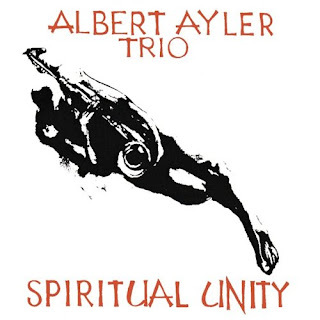 It starts with a theme like a high school fight song, and then Ayler takes it to the moon via the underworld. Crazy, noisy, passionate stuff. Not for everyone. That is a self-imposed restriction that I devised to challenge myself and my writing, because I've observed that I have an occasional tendency to err, as it were, on the side of verbosity. Any sound samples of these out there on the net? Yes I could probably find them myself but I'm theoretically working right now. Saint of the Month: Saint Barhadbesciabas! Element of the Month: Copper!